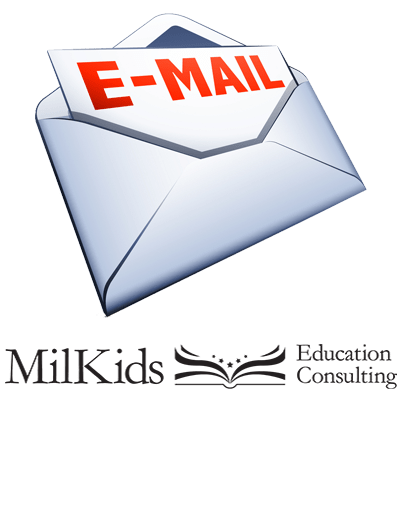 This month on MilKids, I’ll be focusing on clearing out clutter and streamlining your classroom and teaching style. However, first things first. It’s time for some New Year’s Resolutions, teacher style. To myself, to my students, to my colleagues, and to my family. I need to remember that we are ALL just humans, trying to get by in this world. So yes, sometimes we will make mistakes, forget to correct assignments, and act a little bit rude. Because we are just doing the best we can with life. We all get stuck in ruts, especially teachers. We teach the same subject, likely in the same grade(s), year after year. We need to shake things up! My plan? Stop reteaching the same lessons with the same materials! I’m going to drop a pretty penny at Teachers Pay Teachers and the Dollar Store. I might even scope out YouTube and TeacherTube for some fun videos. And yes, there will be glitter, because…it’s fun! I have learned over the last few months, especially while trying to grow this blog, that PLNs are a teacher’s best friend. Through Twitter and TeachCow, I’ve been able to connect with other amazing educators, have a conversation about the direction that education is going in the US, and share information or resources or tips. My teaching bag of tricks has grown exponentially! If it looks cool, try it out! This one is for the classroom and just for life. There are so many thing that I stop myself from doing because it is new or I am unsure. For example, I’ve been putting off purchasing a domain for MilKidsEd for a few months now. Well, in 2016 it will be happening! Rome was certainly not built in a day, and teachers cannot magically bring a kiddo up to grade level or push a child to full comprehension that quickly either. We, as teachers, have so much on our plates between lesson planning, data, grading, assessing, progress monitoring, classroom decorating, professional development, and that’s just the tip of the iceberg! Take a break, know that you are doing your best right now. Acknowledge that you might need help or it might not look perfect right away (or ever). This is OK! I promise the kids won’t notice if it isn’t Pinterest worthy! Great resolutions…whether we’re teachers, other education professionals, or followers looking for ideas to spark the new year.